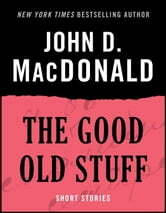 The Good Old Stuff, a classic collection of short fiction from crime writer John D. MacDonald, the beloved author of Cape Fear and the Travis McGee series, is now available as an eBook. 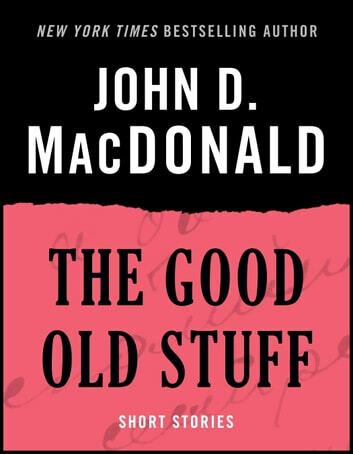 Before embarking upon a truly iconic career as a novelist, John D. MacDonald cut his teeth perfecting the art of the short story. This powerful collection assembles thirteen of those early mysteries, tightly wound gems of noir fiction that herald the arrival of an American original. Featuring early prototypes of his signature character Travis McGee, many of the characters are explorations into the types of people that would obsess MacDonald throughout his life’s work: professional criminals and city cops, adventurers and amateur sleuths. Throughout, the inimitable touch of a master at work is on shining display.